Come and enjoy a meal at our Dundilodge restaurant and be entertained by our well trained staff. The main deck overlooks the swimming pool while listening to the nightly antics. 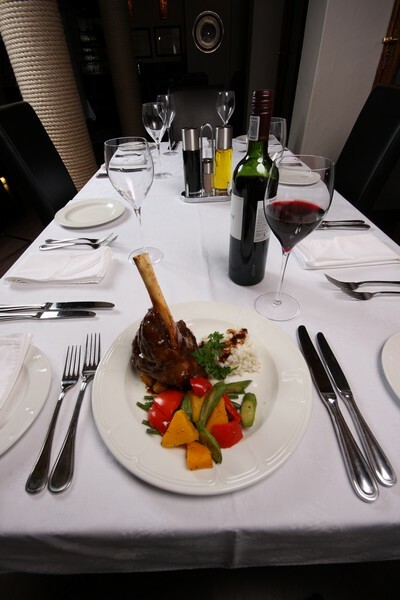 Private dining in the Manor House or the Dundi Presidential Suite can be arranged. Table settings are done in an artistic manner by fully trained personnel. Our wine list consists of local wines and a large selection of our own hand picked private collection wines. 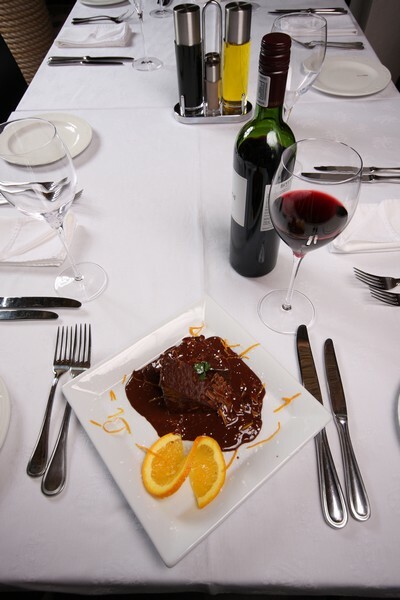 Our wine compliments the healthy, distinctly African-inspired freshly prepared cuisine. 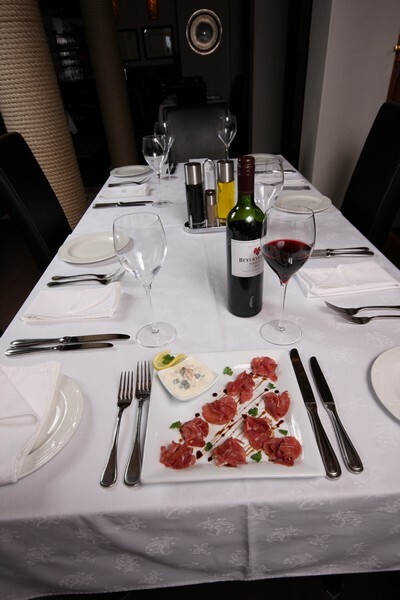 The wine cellar is stocked with an excellent selection of South African award-winning wines. This is a spectacular place to stay. The rooms are lovely, the food is very good and the people running the Lodge are ultra friendly and efficient. Bookings for the restaurant can be made by phoning us on the following number or click the buttong to get in contact via email.